MonArk Patrol boats are built to deliver speed without sacrificing durability. We can build the boat to get you there faster safer and more economically. 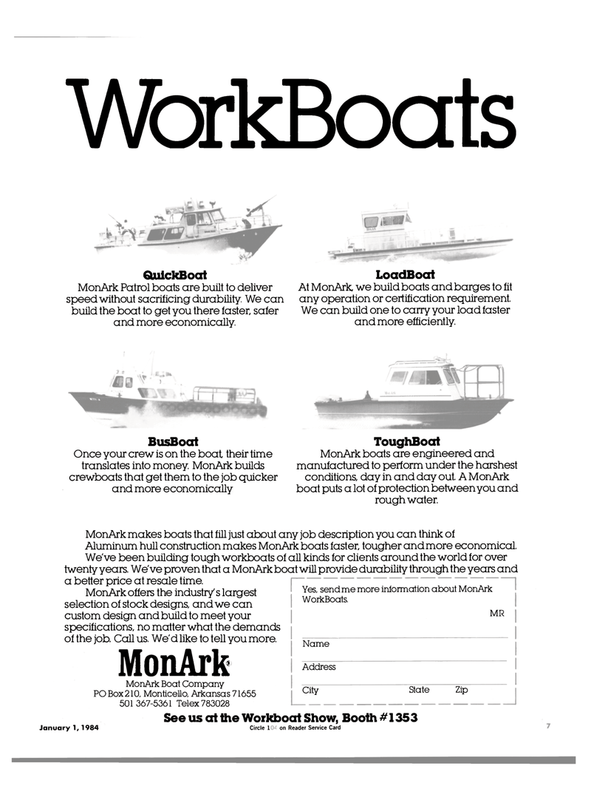 At MonArk, we build boats and barges to fit any operation or certification requirement. We can build one to carry your load faster and more efficiently. MonArk boats are engineered and manufactured to perform under the harshest conditions, day in and day out. A MonArk boat puts a lot of protection between you and rough water. Aluminum hull construction makes MonArk boats faster tougher and more economical. We've been building tough workboats of all kinds for clients around the world for over twenty years. We've proven that a MonArk boat will provide durability through the years and a better price at resale time. MonArk offers the industry's largest selection of stock designs, and we can custom design and build to meet your specifications, no matter what the demands of the job Call us. We'd like to tell you more.